Proptosis (also called exophthalmos) is a medical condition in which one or both of the cat’s eyeballs is displaced and protrudes out of the bony socket. This alarming condition is a medical emergency which requires immediate veterinary care. It differs from buphthalmos, which is an enlarged globe usually caused by glaucoma. What are the consequences of proptosis? When the eye protrudes, the eyelids become folded behind it which can cause the eye to dry out (desiccate) and ulcerate. Secondary hemorrhage (bleeding) and swelling can displace the globe further. Secondary infection can develop in the protruding eye. All of these side effects can increase the risk of blindness due to globe perforation, damage to the optic nerve or necrosis. The most obvious sign is the protrusion of the eye from its socket with the eyelids behind it. 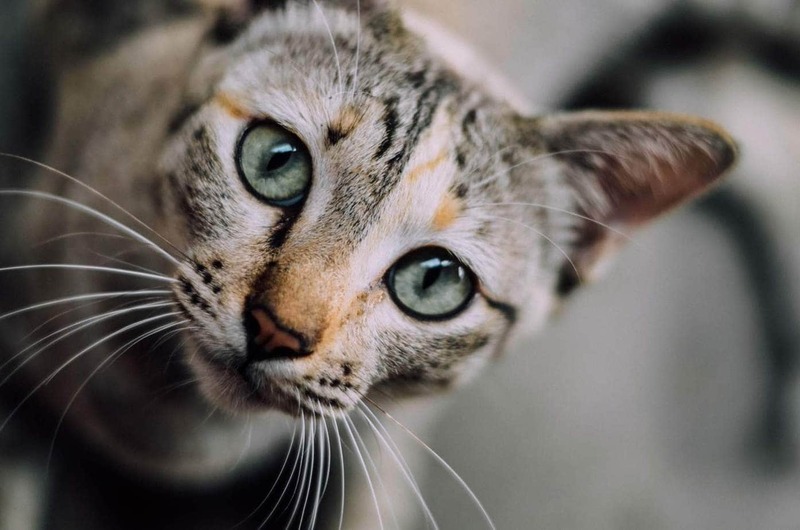 The veterinarian will perform a physical examination which will include a thorough ophthalmological (eye) evaluation the extent of the injury and assess the cat’s overall physical condition. Proptosis itself is easy to diagnose based on presenting symptoms; however, the veterinarian will need to perform some tests to evaluate the eye and face. Skull and chest X-rays to assess the facial structures, look for broken bones or tumours. Fluorescein stain to look for corneal ulcers in the eye. Treatment depends on the condition of the eye and surrounding tissues. Upon presentation, the veterinarian will apply topical antibiotic drops and lubricant to the exposed globe. It will be necessary to stabilise the cat and treat life-threatening injuries first. Treatment for proptosis involves either replacing the globe or removal (enucleation). 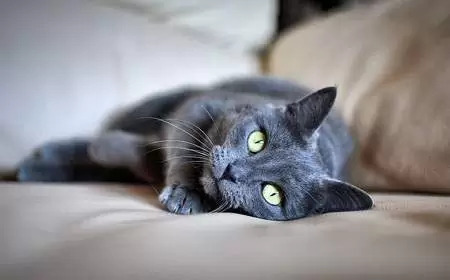 If it is possible to save the eye, the veterinarian will place the cat under general anesthesia, clip and sterilise the eyelids, flush the eye with sterile saline to remove debris, the lids are unrolled, and the globe is carefully pressed back into position with a moist surgical sponge. The eyelids are temporarily stitched shut (temporary tarsorrhaphy) to keep the eye in place for between 1-3 weeks. If it is not possible to save the eye, the veterinarian will remove it along with the orbital tissues under general anesthesia. The eyelid is then sewn permanently shut. The cat will be sent home with a care sheet, topical antibiotics and painkillers and in some cases, anti-inflammatories. An Elizabethan collar will be necessary to prevent the cat from damaging the area. Always follow your veterinarian’s instructions. Watch for signs of infection which include redness, pain, and discharge. The veterinarian will schedule a follow-up appointment to monitor recovery. In some cases, enucleation may still be necessary later due to chronic uveitis or glaucoma.